Adding to our 40 days of special Lenten events, you are invited to share in our upcoming Lenten Bible Study with your church family and friends. 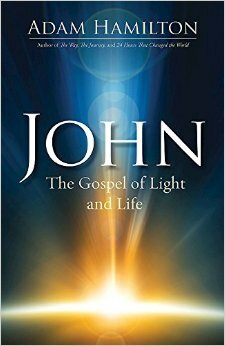 Entitled "John: The Gospel of Light and Life," Pastor Curtis invites you to a experience spiritual growth and life-changing renewal, while reading the entire Gospel of John and exploring major themes. The Gospel of John is the most deeply spiritual of the four gospels, including some of the loftiest and most loved verses in all the Bible. The writing is filled with rich images and profound truths, but John notes that his aim in writing the gospel is that his readers will not only believe in Jesus Christ, but that they "may have life in his name."